A timeline showing when information or accusations were first shown, to whom same were reported, as well as subsequent actions and whether such actions followed Metro practices and policies. An initial review finds that the report includes background on the program, facts about the cases against former LMPD officers Brandon Wood and Kenneth Betts, and a narrative on the Harvey investigation. The report also says that Harvey’s team interviewed Mayor Fischer twice. “Mayor Fischer learned of the Betts and Wood misconduct in October 2016. He requested and received a briefing from PIU in November 2016.” It notes that the Mayor directed an internal review into the Explorer program in March 2017, along with an FBI investigation into the allegations of sexual misconduct within the program. 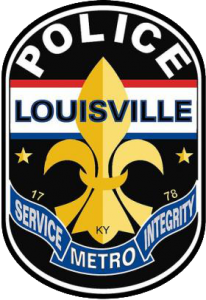 The report touched on the potential for resuming the LMPD Explorer Program, but both Chief Conrad and Mayor Fischer said today that there is no plan to resume the program. Consider term-limiting assignments to the Special Investigations Division. The Mayor said he and his team, including Chief Conrad, would further review the report and quickly begin implementing appropriate changes. The Mayor also noted that his office has not waited for this report to take action, including ordering a separate review of all city programs that involve children and teenagers, to ensure adequate steps are in place to protect youth. After that review was completed in March, the city announced it is expanding its internal policies to better prevent and respond to child abuse in any youth-serving program. He also, along with Council President David James, asked the FBI’s Louisville office to investigate potential violations of federal law related to the allegations. That investigation is ongoing. Mayor Fischer thanked Mr. Harvey and his team for their work. “Our utmost goal with this report was the truth,” Mayor Fischer said. “I appreciate their diligence and hard work, which gets us one step closer to the justice.